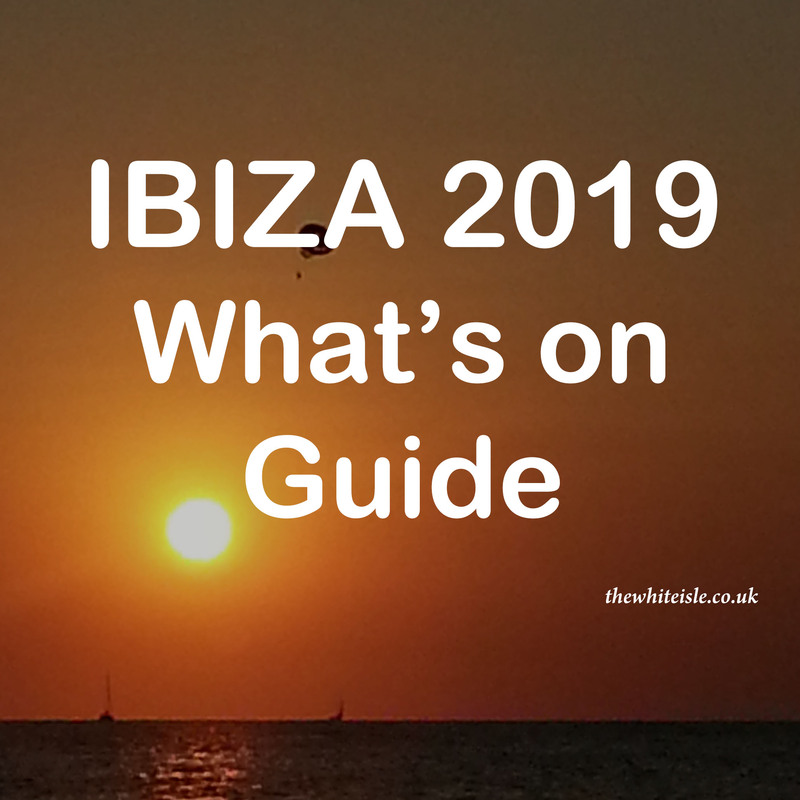 Not everyone comes to Ibiza for the big named Dj’s but all of us love a great night out so we have chosen 5 fun Ibiza parties (with a difference) for you to attend in 2017. The added bonus of course is that you get to visit the world’s most iconic clubs and soak up the unique experience they offer, listen to some great music, have a real laugh with your mates and pay a little less than the big named nights on offer. This is what Ibiza is all about – having a laugh, letting your hair down and not taking life too seriously. This is one of the most unique and legendary parties in Ibiza where it rains inside the club and it turns into a swimming pool. If you want to, you can end up soaking wet alongside 4000 others all dancing away like its the normal thing to do. Added to this the club is a truly spectacular venue and is one of the most beautiful clubs in the world. For more information on this watery spectacular click here. Foam and Diamonds hosted by Paris Hilton takes place in the Main Room of Amnesia and is the ultimate foam party. 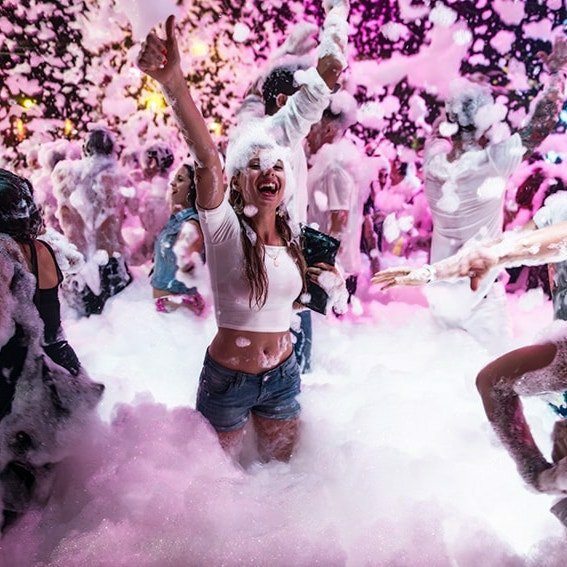 The music is feel good if not a little cheesy, but once the foam cannons unleash the fun really begins. 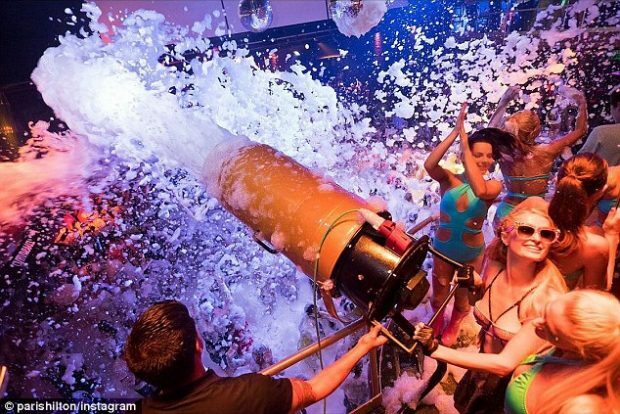 This is not some shin level foam party, this is an Ibiza foam party. It sprays across the room and fills the whole room up to chin level. The added bonus is that the ticket includes entry to Blackout on the Terrace so you have the choice of two parties, foam action or some serious music. For more foamy information click here. 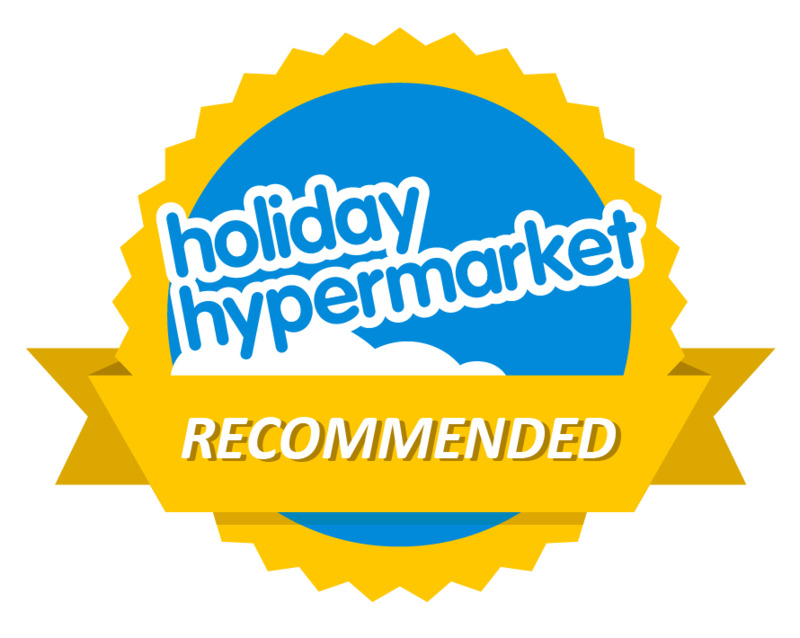 Everyone loves gathering around the pool and this is a great relaxed fun day party with summer dance classics, lots of splashing and lots of dancing. This year Arte Volante theatrical entertainment are theming the parties as a circus so there are endless theatrics around the pool and in the air to keep you entertained throughout the day. To book your space beside the pool click here. 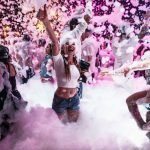 Elrow is the craziest party ever with creative and fantastically executed productions that include exaggerated street theatre, outlandish props, crazy costumes, inflatables, confetti and over the top make-up. Men in drag dangle from the ceiling on bungee ropes, while stilted performers roam through the packed crowd. For more information on this zinger of a party click here. 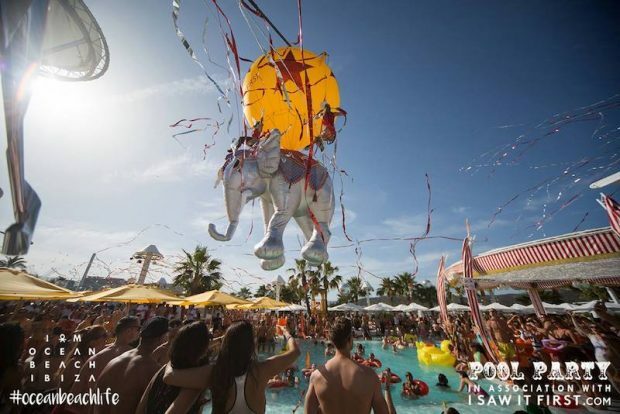 Plus for those visiting in August, Elrow are taking their unique party poolside at Ibiza Rocks Hotel for two exclusive dates. Click for more. As a day to evening party, The Zoo Project really embraces its theme in both the setting and its authentic additions, from a raving Seal pit, a tree-lined pool area where you’ll find many great and many questionable interpretations of zebras basking in the sun, all packed with an array of artistic performers, dancers and stalls that lie within the zoo’s walls. Most revellers throw themselves into the full experience and get their bodies painted to transform themselves into whatever caged creature lies inside. Let your inner animal free and find out more here. So there you have it 5 fun Ibiza Parties to attend in 2017. It’s not all about the big names in Ibiza it’s all about having fun and enjoying life.